We're delighted to announce that the line-up for this year's Conference for Planning Support Staff has now been finalised. Advance details are included on our website. The Conference will take place at our London venue on Thursday 25 May 2017 and the theme for this year's event is "delivering a modern support service with an emphasis on information sharing and meeting delivery targets". Our Training Workshop Programmes for 2017-18 in both England/Wales and Scotland have now been published and details are currently being circulated to our regular contacts. This year's programme is due to kick off in Edinburgh on 18 May 2017 with a couple of workshops, one of which is an old favourite and one which was a popular new addition to the programme last year. With local elections coming up across Wales in May, the WLGA commisioned TRA to update its planning induction material for members. The material consists of a Members Planning Handbook and two slide presentations (one for all members and one for Planning Committee Members) which officers can use to train their own Councillors. The revised resources will be made available by the WLGA in time for the elections. For any local authorities who would prefer to have their post-election training provided by external trainers, the TRA team is available. Buckinghamshire CC recently commissioned TRA to deliver an in-house workshop on planning conditions. Use of Conditions: necessary, precise and enforceable was aimed at a range of County planning officers with varying levels of experience as well as in-house consultees from the highways authority, SUDS, and natural & historic environment, including Rights of Way and policy teams. Here is our pick of the current vacancies on our Planning Jobs Board - with closing dates in March. The list includes a number of managment/senior management positions. 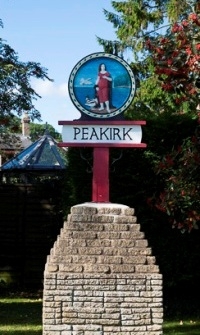 The latest examination to be organised through TRA's Independent Neighbourhood Plan Examination Service is for the Peakirk Neighbourhood Plan. The plan has been submitted by Peterborough City Council and David Kaiserman has been appointed as the Examiner. TRA Staff have been busy knitting over the last few weeks creating these cute little chicks for this year's Francis House Children's Hospice Easter Chick fundraising appeal.